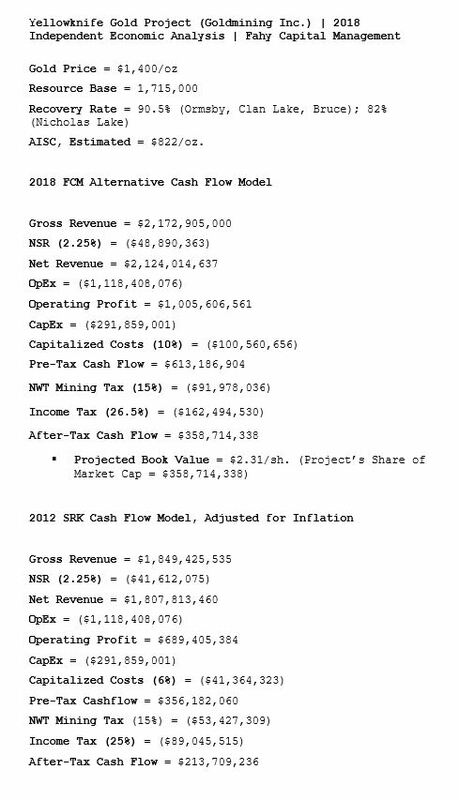 Projected Value of Project = U.S. $2.91/sh. 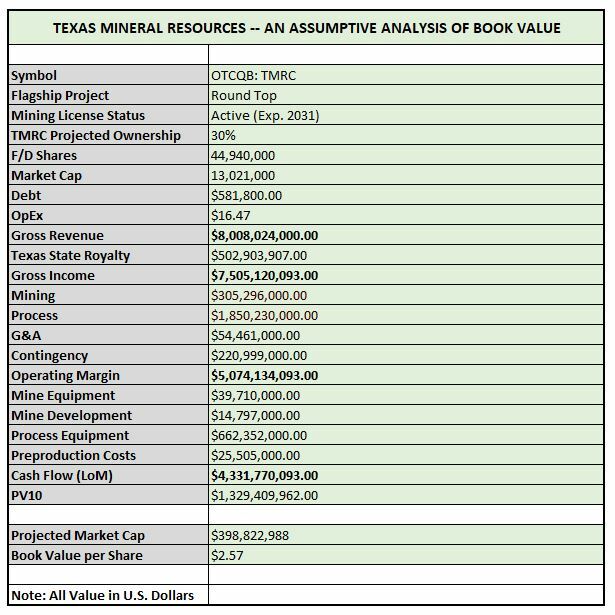 Based upon updated mineral resource estimate prepared by SRK Consulting. 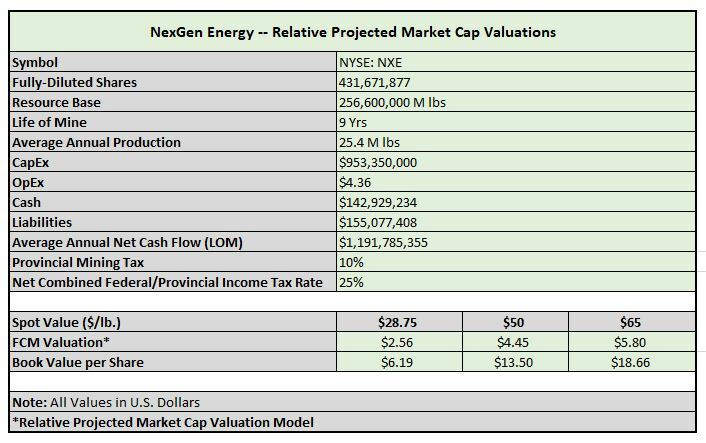 Cost to Acquire = $0.32/lb. Cost to Build = $4.76/lb. 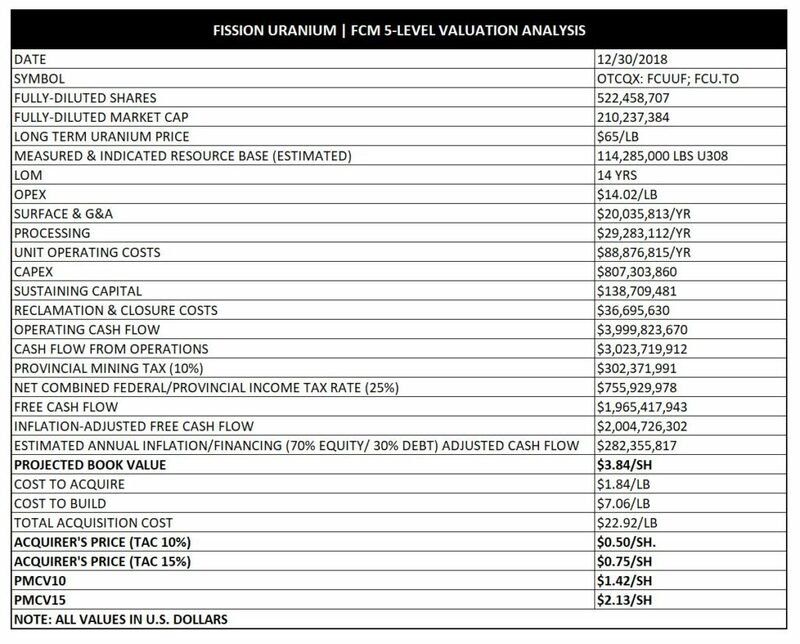 Total Acquisition Cost = ~$43/lb. 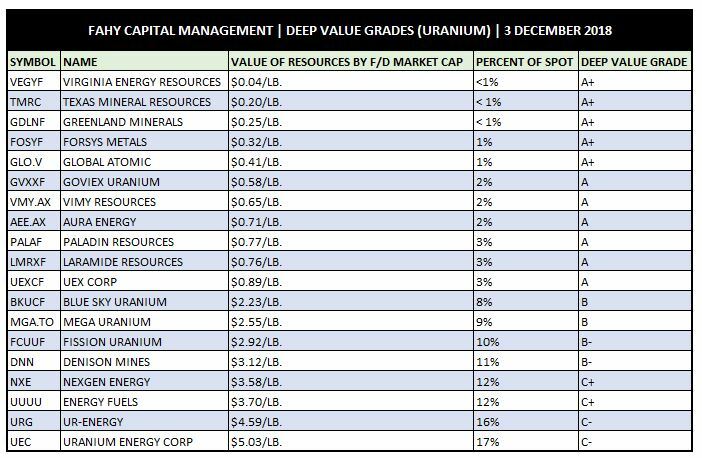 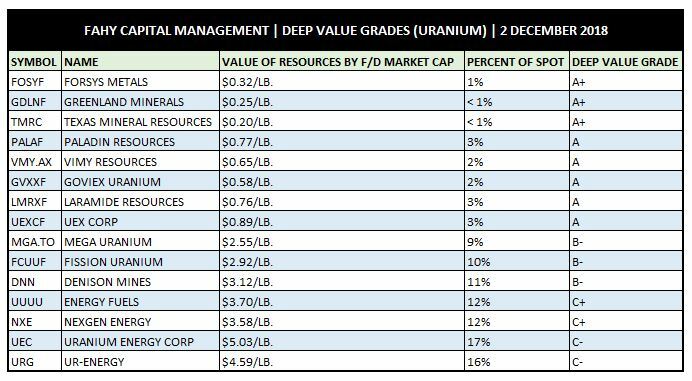 Texas Mineral Resources presently trades at a mere 4.6% of intrinsic value ($4.31) at today’s spot uranium prices, cementing it in the pantheon of U.S. development-stage companies as among the most grossly undervalued.